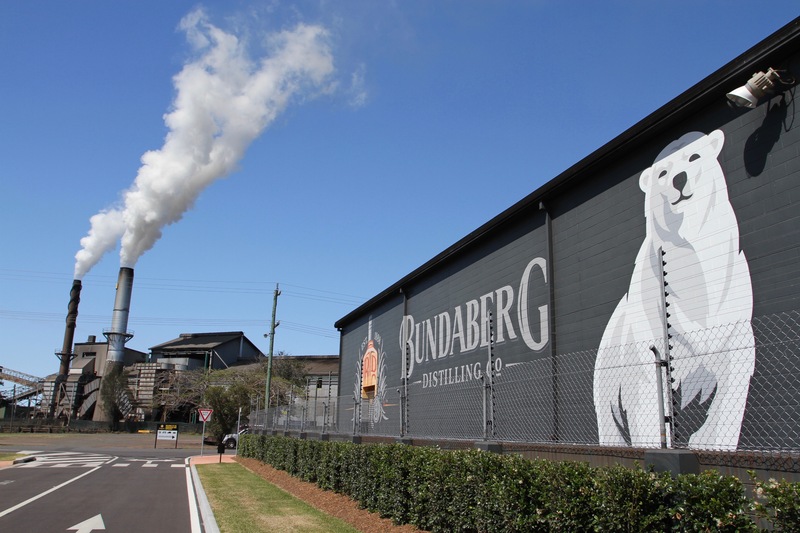 Visiting the Bundaberg Rum Distillery is a serious business. At the distillery gate are lockers into which all electronic items must be placed. Cameras, phones, torches, car keys, all are locked away. In fact, you’re not permitted to carry anything with a battery or that can make a spark. That might seem draconian, but it’s sensible when it might ignite the highly flamable ethanol-laced alcohol stored behind the security fence. In 1936, a lightening strike on the distillery did exactly that. In a matter of seconds tens of thousands of litres of alcohol, worth a street value of a couple of million dollars, was ablaze. The buildings were destroyed, and burning alcohol and molasses poured into the nearby Burnett River, killing thousands of fish. It took nearly three years to rebuild the distillery, which remains on the same site today. All the security isn’t just there to prevent fire though. 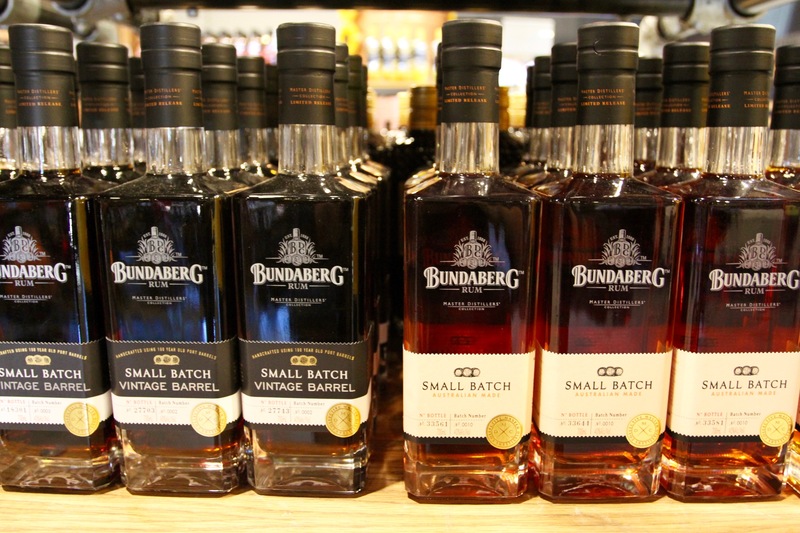 Rum is big business and Bundy Rum is the most popular brand in Australia. 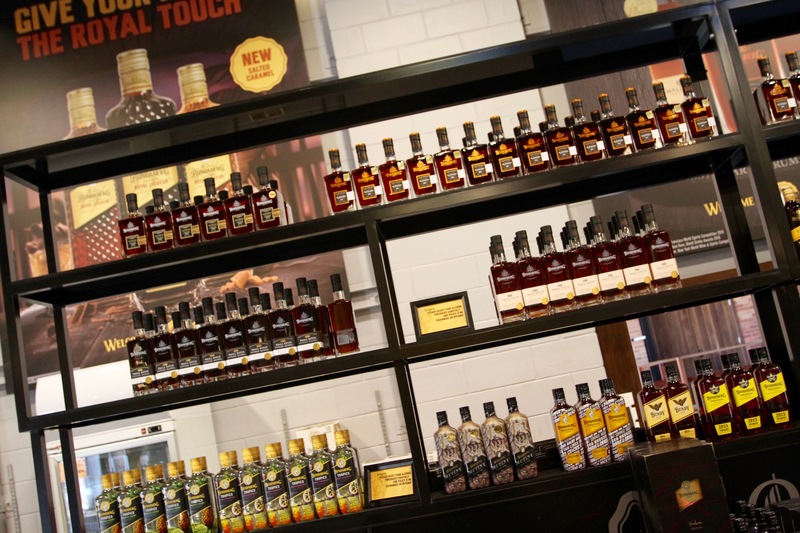 Behind the security fence is Australia’s rum motherlode. 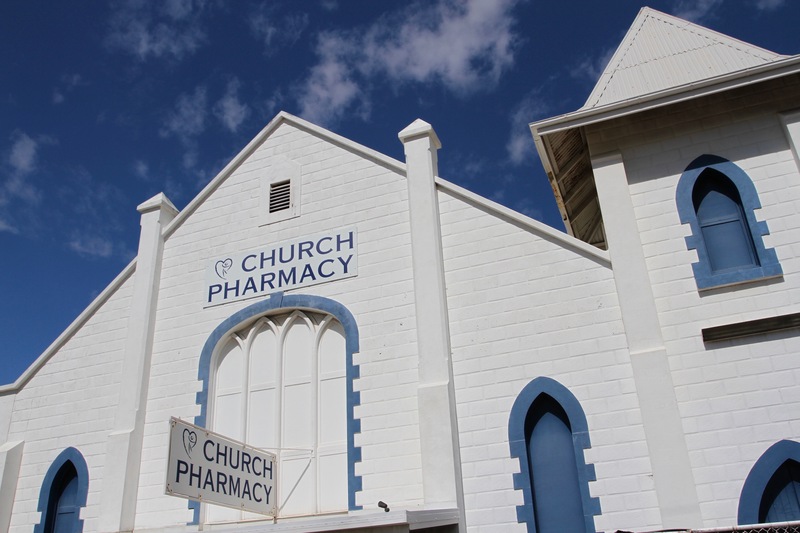 Not only are there 10 million litres of molasses, the sugarcane waste product and raw ingredient of rum, but also 300 barrels of ready to drink golden liquid stored in bonded warehouses. Each of those barrels has a value of around AUS$7 million. Multiply that by 300 and you have rum with a street value of $2.1 billion just sitting there waiting to be drunk. It’s no surprise that security is tight. Each barrel is made from American oak, harvested from the same area of the Appalachian Mountains that provided the wood for Bundy Rum barrels in 1888, when production first started. Continuity is important in the distillery. 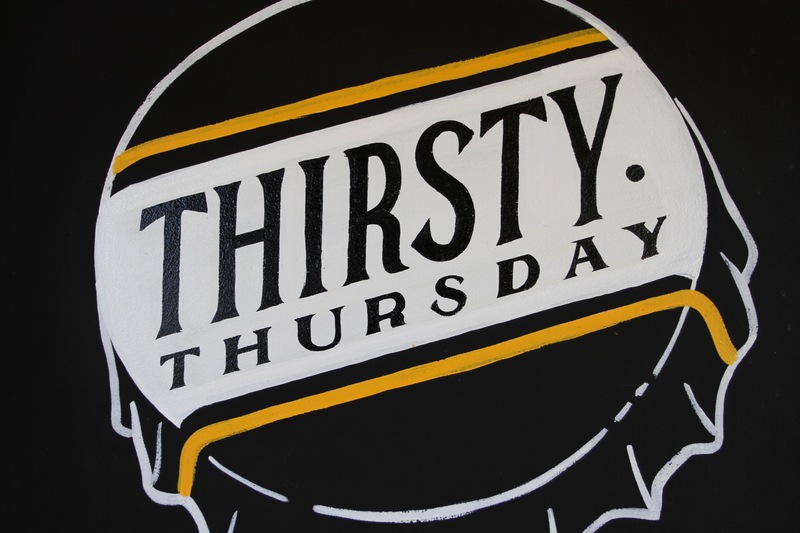 Rum first arrived in Australia over a century earlier, on board HMS Endeavour, the British Navy research ship Captained by James Cook. In the early years of Australia being a penal colony, rum was easy to find, but was still shipped from England rather than produced here. Tales of chronic drunkenness in the fledgling colony were rife well before The Great Molasses Crisis of 1885 kick started domestic rum production. 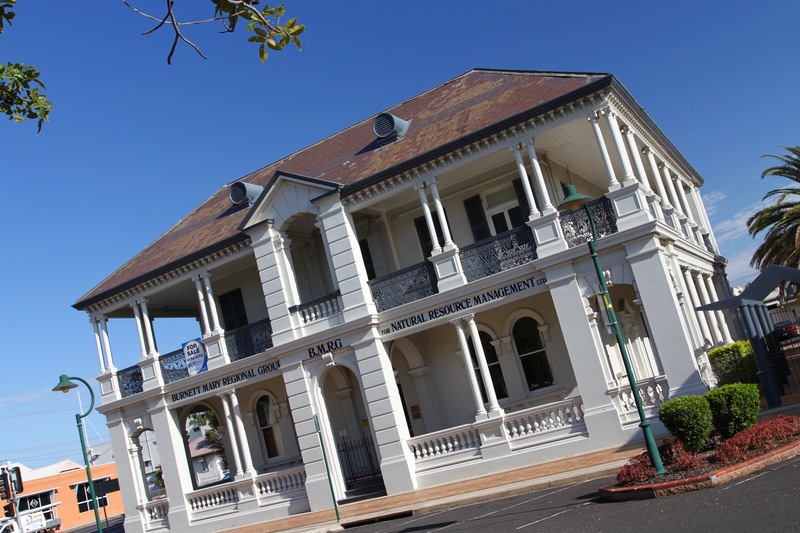 In the late 19th century, Queensland’s economy was already heavily based on sugar production, with 166 sugar mills in operation. The only problem was that refining sugar leaves behind a sticky, sweet by-product: molasses. 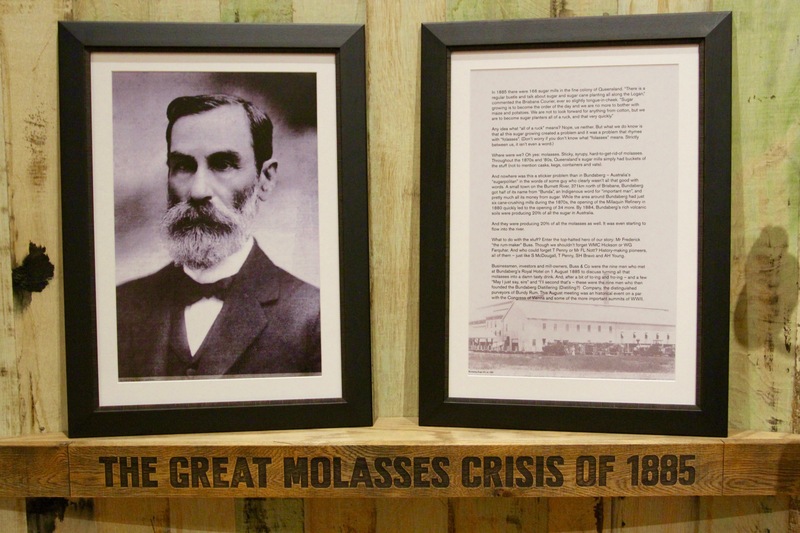 So much molasses was being produced in Bundaberg it was flowing into the Burnett River. Luckily for drinkers everywhere, a solution was found: build a rum distillery. We were shown around the distillery by two enthusiastic guides, who seemed to specialise in irony. To add some spice to the tour, the guides insisted that we all shout ‘huzzah’ or ‘poppycock’ when we liked or disliked something they were telling us. It’s quite a short tour, but informative, and it comes with two complimentary glasses of rum in the gift shop bar. Something that got the loudest ‘huzzah’ of the day. 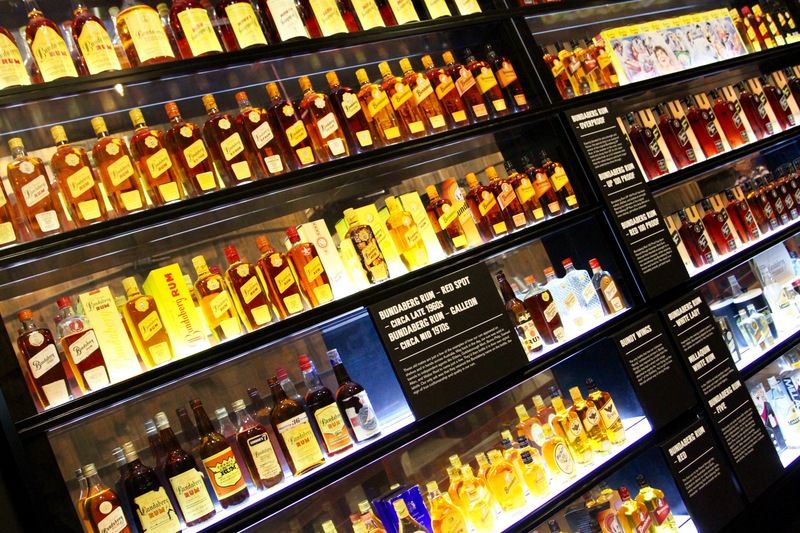 The on-site rum museum was recently given an $8.5 million refurbishment, and the result is a fascinating interpretive experience. 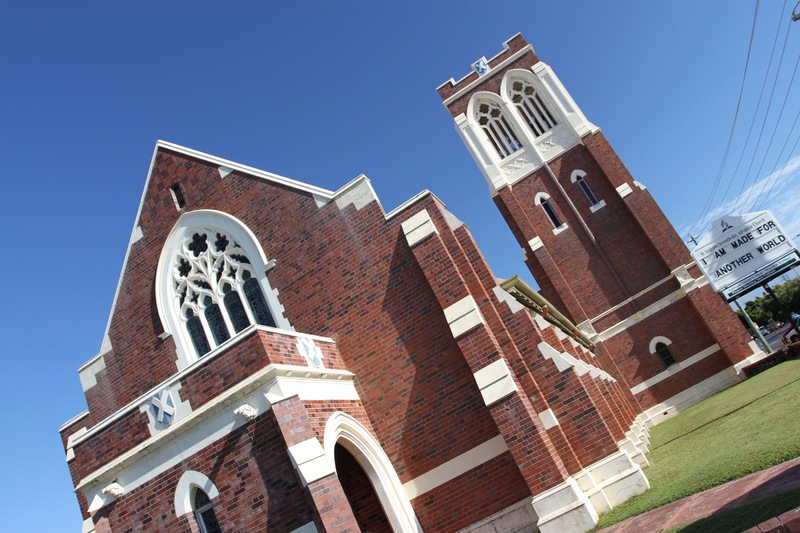 The centrepiece of the museum are six 75,000 litre oak vats, which have been decommissioned from maturing Bundaberg rum, emptied and turned into part of the exhibit. 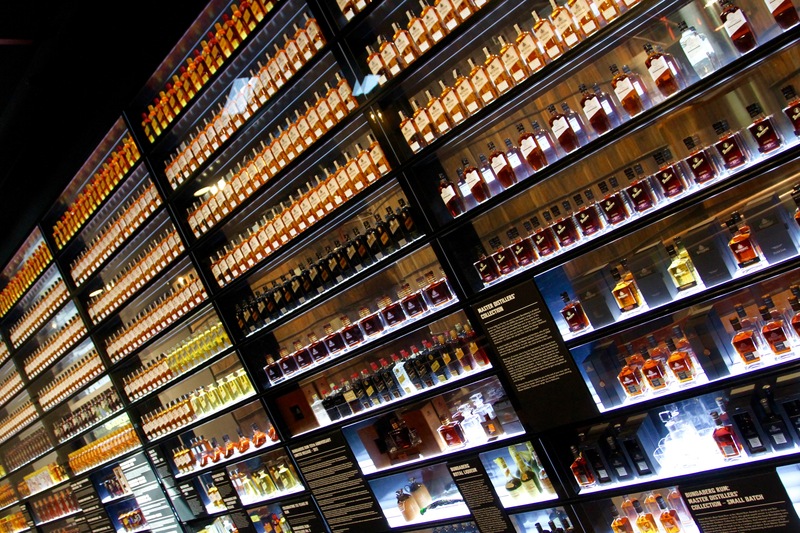 Each one is like a separate room telling a part of the Bundaberg rum story. 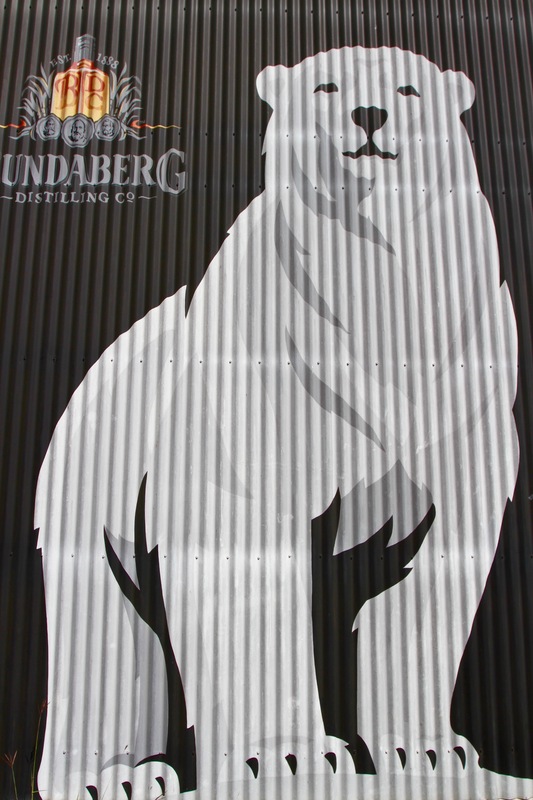 What about Bundaberg’s incongruous, iconic Polar Bear? I hear almost no one ask. 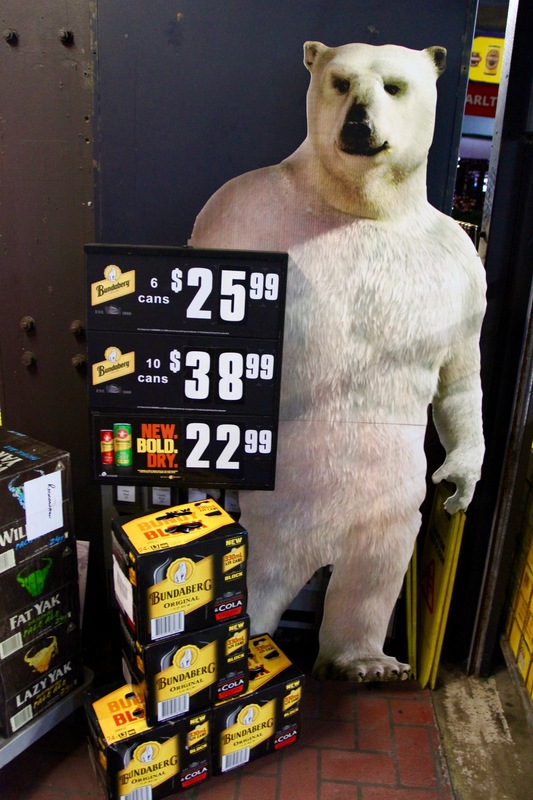 Somewhat disappointingly, the mystery behind the legend of the Bundy Bear is that it was just a marketing ploy thought up by a marketeer, Sam McMahon. McMahon is an Irish surname anglicised from the Gaelic name “Mac Mathghamha”, meaning “son of the Bear”. That is the origin of the bear, at least according to the modern-day marketing spiel. 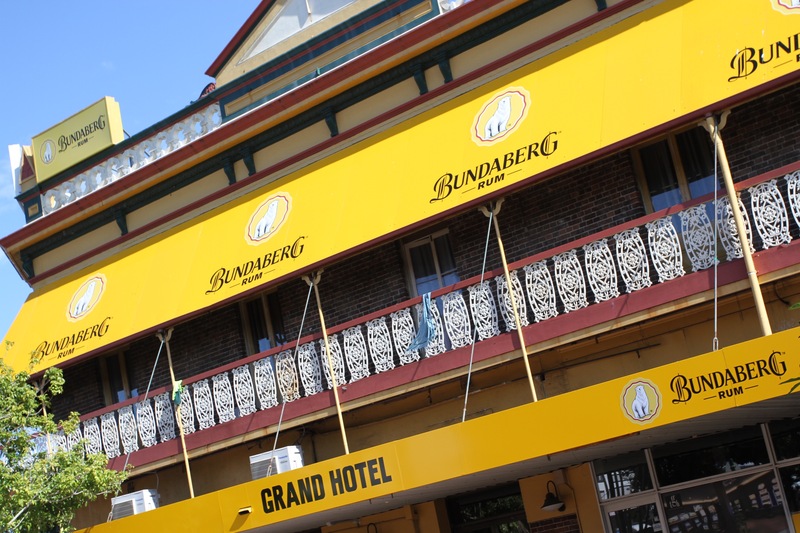 I first came across the name Bundaberg in an isolated pub somewhere north of Fort William in the middle of the Scottish Highlands. 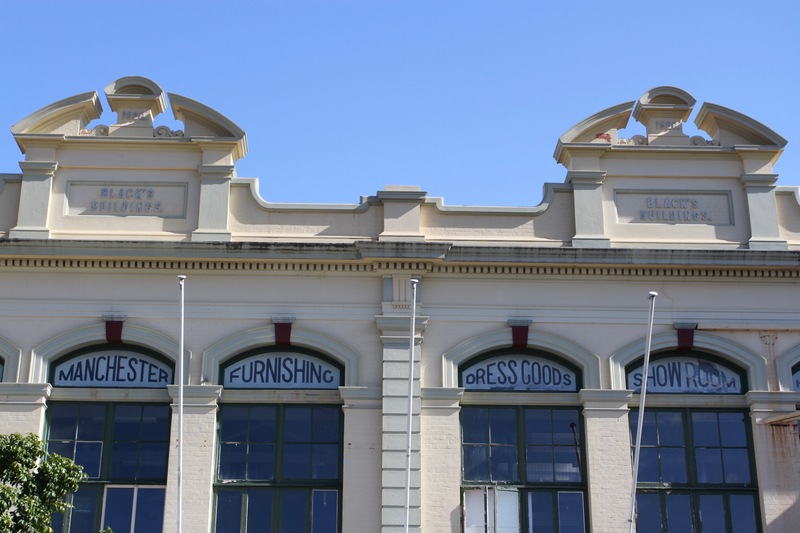 The name, and the famous Bundaberg Polar Bear, adorned the hat of a young Australian woman who was travelling through the Highlands with a friend. As the evening wore on, and more single malt was drunk, drinking stories started to be told. 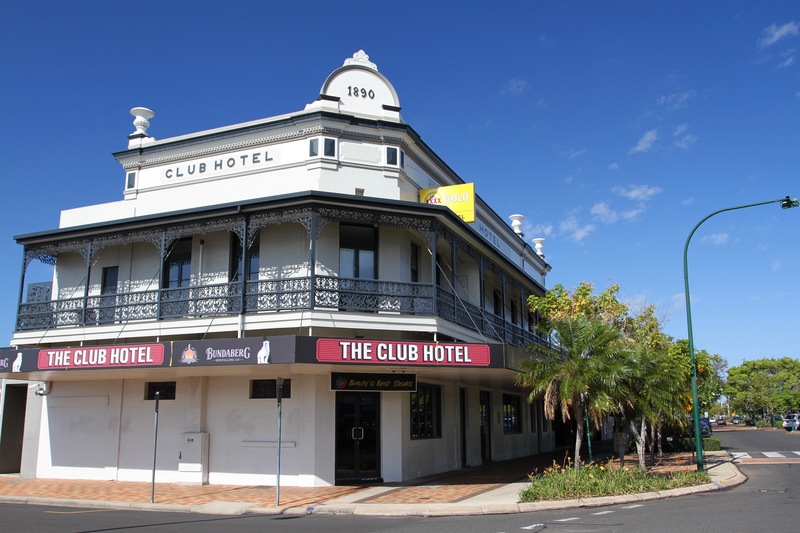 Including tales of Bundaberg’s famous rum. I don’t remember at what stage in the night we struck a deal to swap her Bundaberg cap for my St. Patrick’s Day t-shirt. All I know is, I woke up the next morning with a stinking hangover, wearing a hat with a polar bear on the front, and without my t-shirt. I had to drink quite a lot of Guinness to acquire that t-shirt. It was a sad loss, but it seemed like an appropriate way to part company. Ever since that drunken night in Scotland, I made a promise to myself that one day I’d visit Bundaberg and see where my new hat came from. Over the intervening years the hat travelled with me like a lucky charm until it was lost, possibly in another drinking-related incident. I may not have been able to proudly wear it when I eventually arrived in Bundaberg, but I brought the spirit of that night in a Highland pub with me. 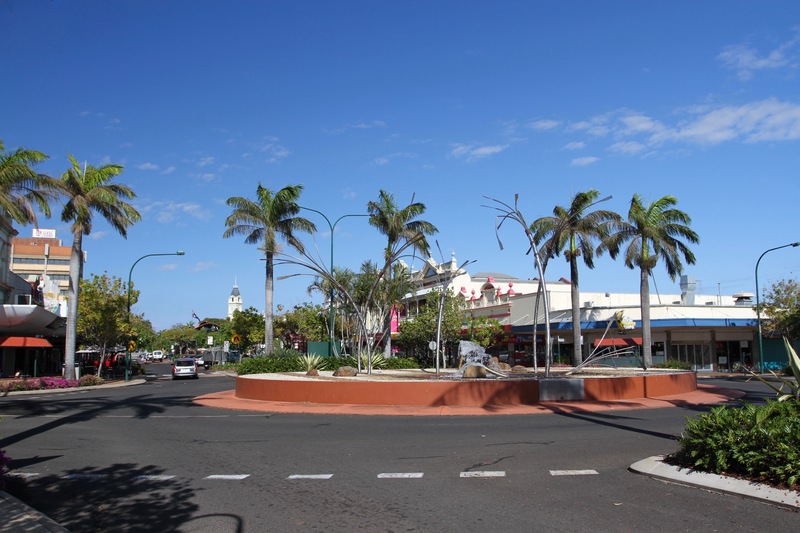 I drove up to Bundy, as Bundaberg is affectionately known, after watching whales in Hervey Bay, and there was a subtle change in the landscape. I passed more and more fields of sugar cane and, occasionally, long and slow sugar cane trains. Queensland is famed for sugar cane, the further north you go the more cane you see. In this area, much of it is destined for Bundy’s rum stills. 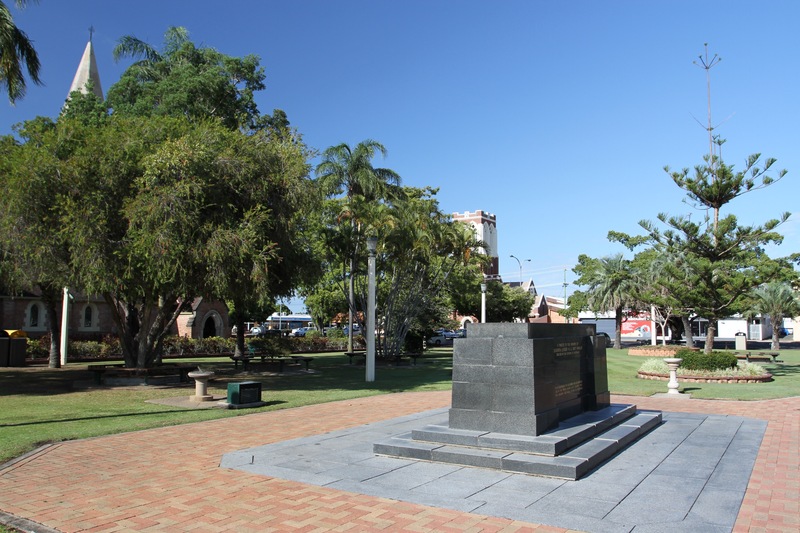 Bundaberg’s a town of around 70,000 people, and has a small town feel. 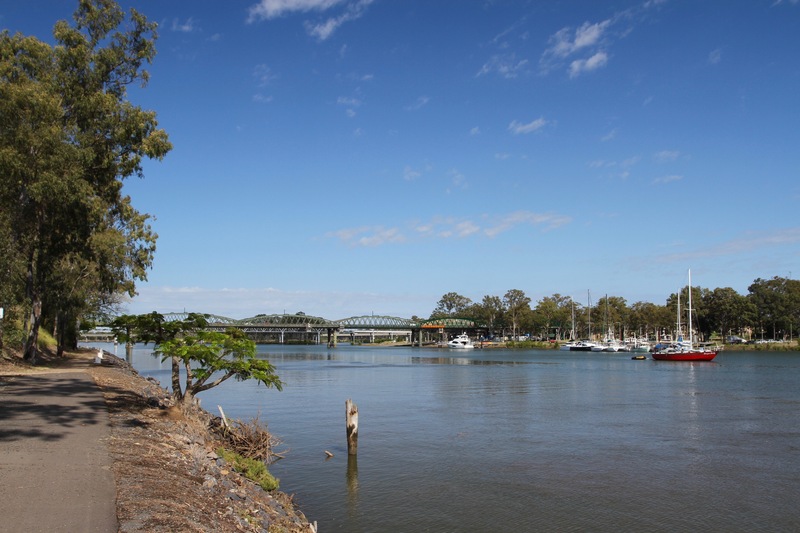 The area was first surveyed by Europeans in the 1840s, by James Burnett, who gave his name to Bundaberg’s slow moving river. The town was finally founded in 1870, and plenty of graceful colonial-era buildings still line the streets. Timber was the first major industry in the town, but sugar quickly took over. Bundy doesn’t attract many tourists, but it’s a surprisingly picturesque place with palm tree-lined streets. 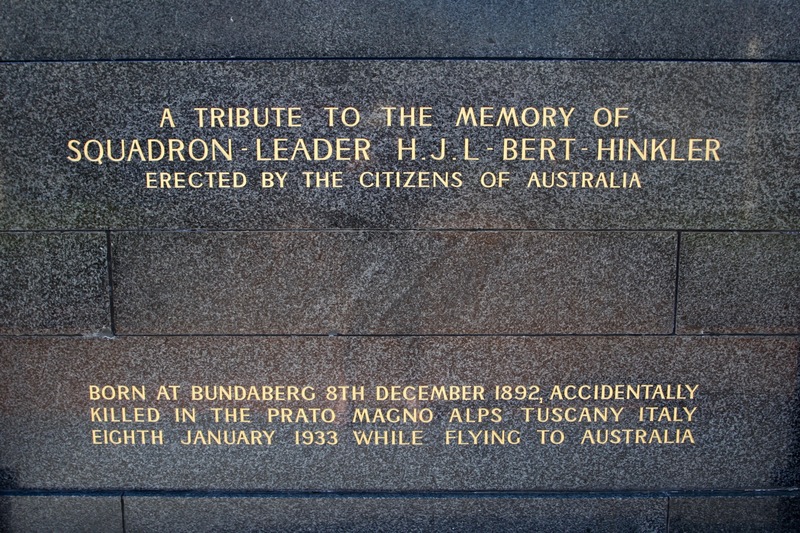 There are a couple of good museums, including to aviation pioneer, Bert Hinkler, who in 1931 was the first person to fly solo across the South Atlantic. 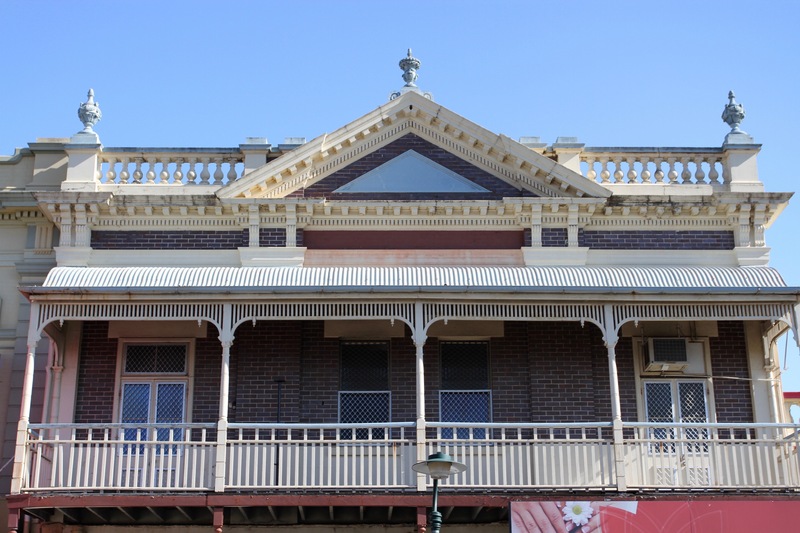 Bizarrely, the house in which he lived forms part of the museum. That is, the house he lived in in Southampton, England. 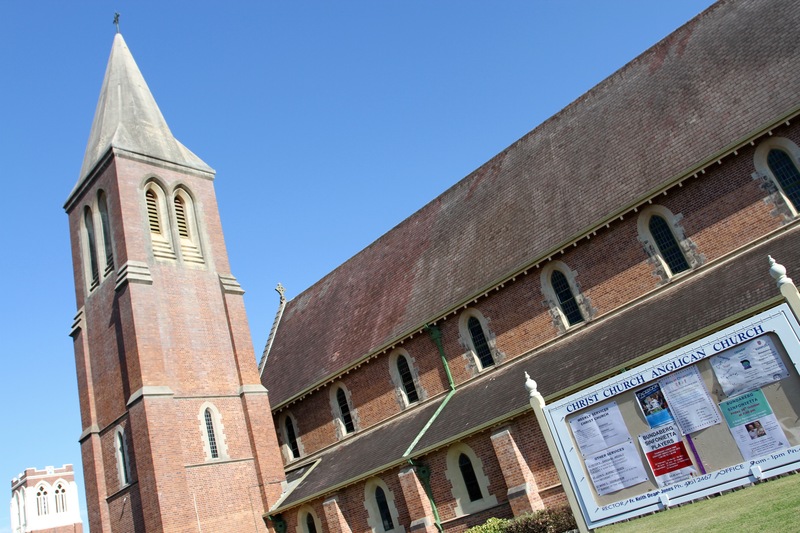 It was shipped here in 1983 when threatened with demolition and reconstructed brink by brick. 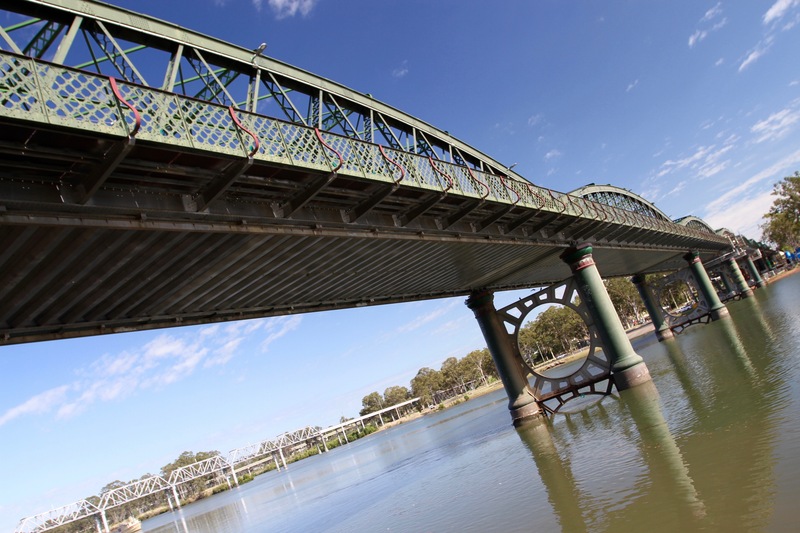 I walked around the town centre, had a delicious breakfast in one of several good coffee shops, and found my way to the Burnett River for a stroll along its banks. At Bundy, the river is wide and slow moving, but this is deceptive. Originating in the Great Dividing Range, the river is prone to flooding. 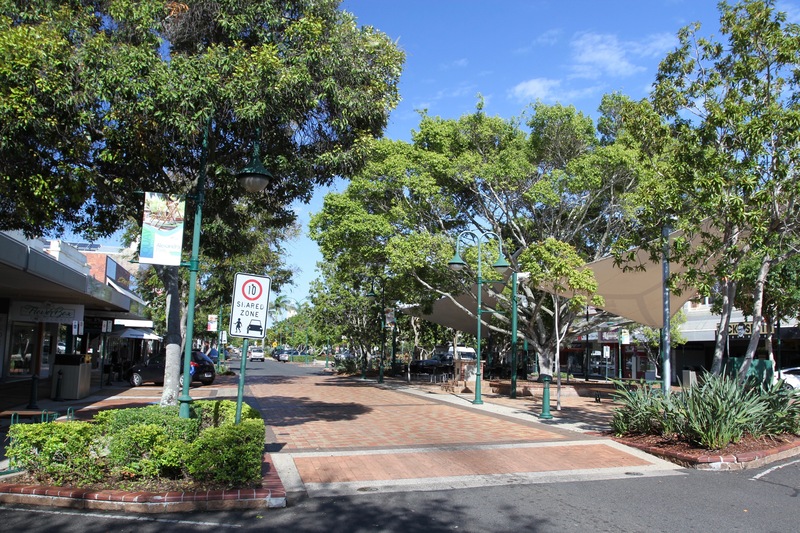 Recent flooding in 2010-11 and 2013 caused huge damage in Bundaberg and elsewhere along its course. 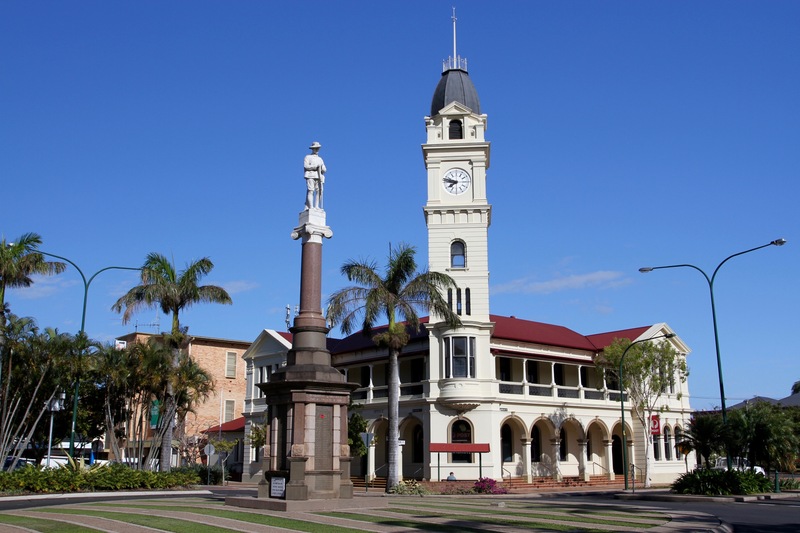 I’d have liked to have spent a bit more time in Bundaberg but the siren call of the road, and my ridiculous schedule to reach Cairns, beckoned me. 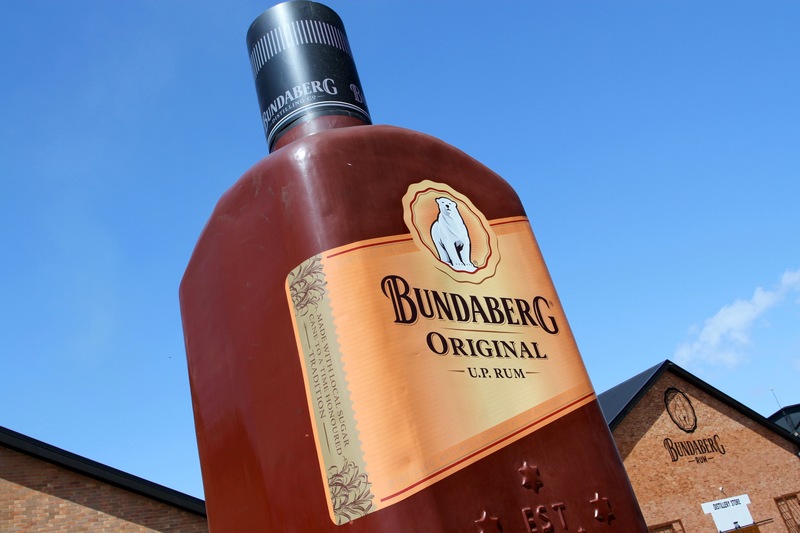 There was only one thing I had to do before leaving town, the one thing everyone has to do when they visit Bundy … tour the Bundaberg Rum Distillery.